Crudwell Garage is a long-standing Bosch Car Service Centre – giving you high quality car servicing and diagnostic capability in the Malmesbury, Tetbury and Cirencester area. They have huge experience of servicing cars and vans, whatever the make and model, from Ford to Renault, Mini to 4×4 Land Rovers, you can trust them to service your car properly. 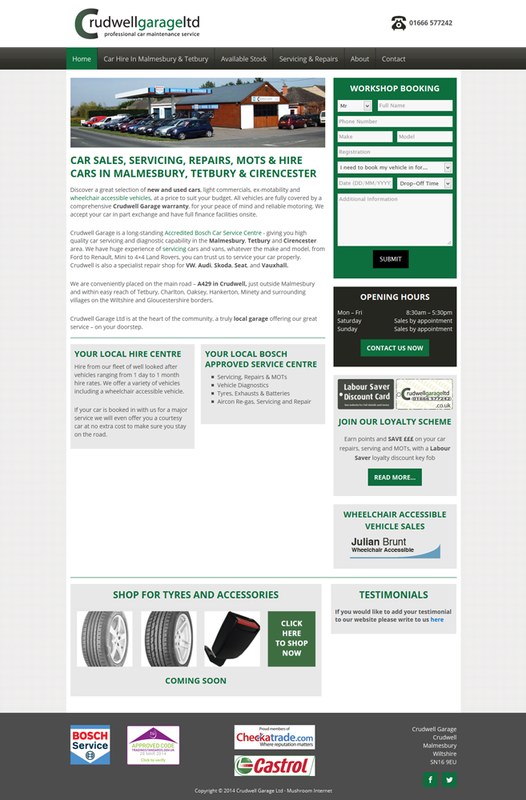 Crudwell Garage is also a specialist repair shop for VW, Audi, Skoda, Seat, and Vauxhall.